I have a very uneasy feeling that all of us who use oil, petrol and gas are complicit in the human and environmental devastation involved in producing it and controlling its supply. 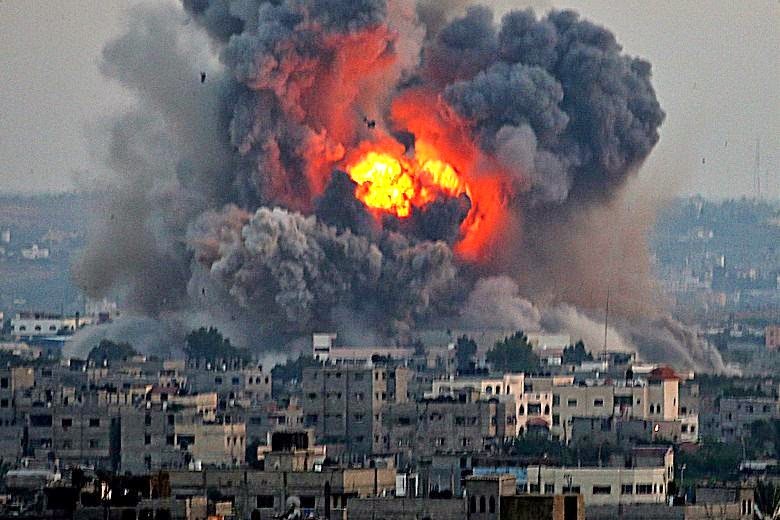 The Gaza resource massacres are bad enough, but by releasing the carbon stored in oil and other fossil fuels for millions of years over a few hundred years we are also destroying the Earth's ability to support much life of any kind. Do we really want to be respomsible for all that? Our transition to a life after the Oil Age is inevitable anyway because there's only so much of the stuff. All the easy-to-get oil is gone, exploting what's left, fracking, drilling in Arctic etc, will just mean ever more devastation and stave off the inevitable change for a decade or two. It will soon get to a point where it takes more energy to exploit oil resources than they produce. There's a fuel element in just about everything we buy, do and use, transport and heating obviously, but also food, packaging, chemicals: paints, medications... It's a huge task to make the transition to a sustainable way of life, so the sooner we get on with it the better. We can choose to make radical changes now and make the transition as smooth as possible or wait until change is forced upon us, the longer we leave it the more unpleasant it will be. Protest is great, it's wonderful that people are waking up to the damage eg that fracking is causing. I think it will be even more powerful to stop using fossil fuels. It does mean a different way of life altogether, there is no sustainable way of using as much energy as we do now. Renewables are only a tiny fraction of the total. WHAT'S A SUSTAINABLE WAY OF LIFE LIKE? Well that's what this blog is all about. I've visited and worked on lots of different eco projects and met lots of inspiring people, I have to say I've only met a handful whose way of life could be truly called sustainable. Some aspects are easy, like dealing with your waste, others take more skill and experience, like growing your food, materials, medicines in your locality. For me, despite all the challenges it's a very exciting, fascinating time of enlightenment, of the evolution of a global super-consciousness and of the development of our psychic and energetic abilities. The greatest journey begins with a single step.